My absolute favorite treat while watching a movie is popcorn with peanut M&M’s. You have to pour the M&M’s in when the popcorn is hot and shake them down a little to distribute them, so that they get a bit melty. Perfect simple sweet and salty treat. I wanted to take it just a step further. By adding a couple of other sweet and/or salty favorites: pretzels, marshmallow, and Chex. The outcome of this Popcorn Pretzel Movie Mix is pretty much amazing. And while it does definitely fall under the sweeter side now that everything is covered in marshmallow, it still has plenty of salty from the pretzels, the popcorn and the peanuts in the M&M’s. 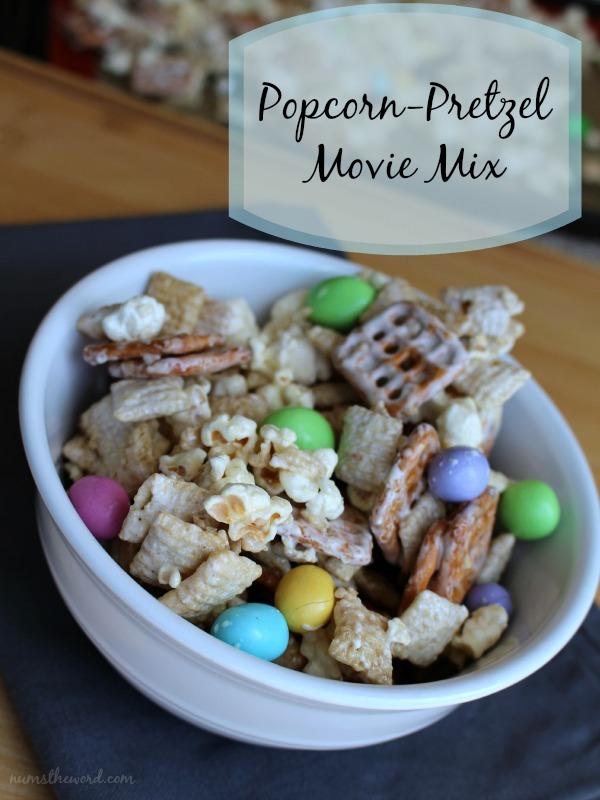 This Popcorn Pretzel Movie Mix is perfect for a movie night in, or put it all in a ziploc bag and get out that big purse that you really only have for going to the movies, right? Whatever you use it for, it will be a hit. 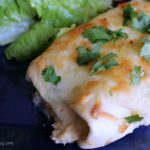 Even if you just make it for yourself. That’s totally fine with me. I don’t judge. In large microwaveable bowl, combine Chex popcorn and pretzels. Set aside. In medium microwaveable bowl that has been sprayed with cooking spray, combine butter and marshmallow fluff. 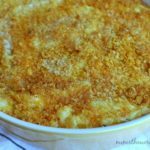 Microwave for 1 minute, stirring after 30 seconds, until the butter is melted and both are creamy and stir-able. Pour over cereal mixture, and stir to coat as well as you can. Microwave for 2-3 minutes, stirring after each minute, until mixture is glazed. 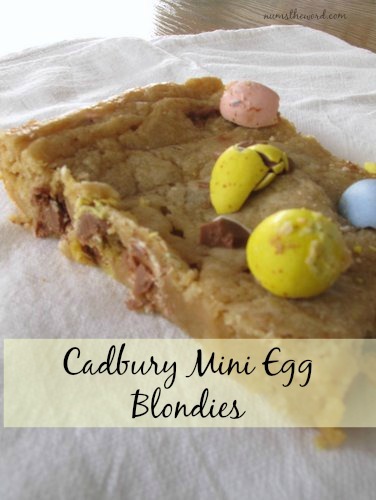 Wait a few minutes, then mix in the M&M's. Pour out onto lined cookie sheet to cool. Break apart and serve! 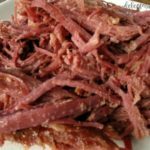 Try not to eat all in one sitting! 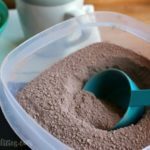 TIP: Spray both bowls and the spatula you use for stirring with cooking spray to avoid a lot of sticky mess to clean up. One of the best ice-creams we’ve ever made! 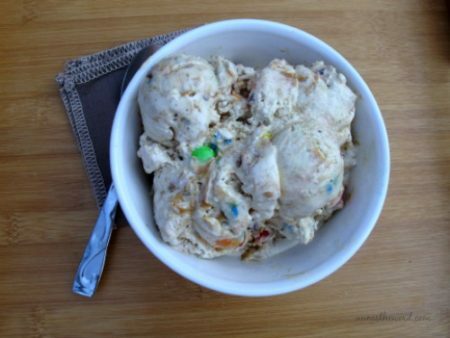 Oatmeal ice-cream with peanut butter and M&M’s and it tastes just like one of our favorite cookies! These are the best Rice Krispie treats I’ve ever had! 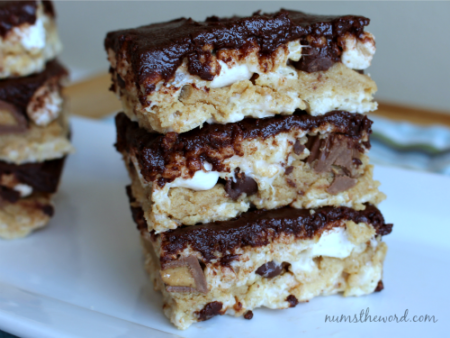 Layers of Rice Krispie treat with peanut butter cookie dough, marshmallows, Reese’s Peanut Butter Cups and then all topped off with chocolate frosting. 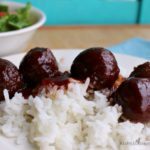 These little snacks were gone in no time and a big hit with the whole family! 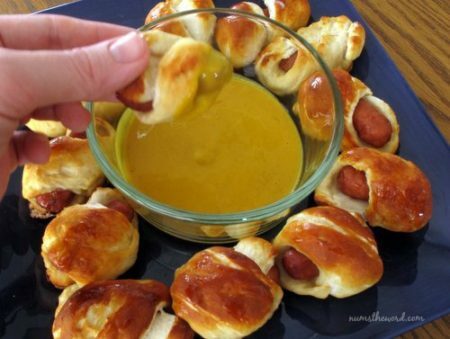 Li’l Smokies wrapped in pretzel dough and served with a tangy honey mustard sauce.